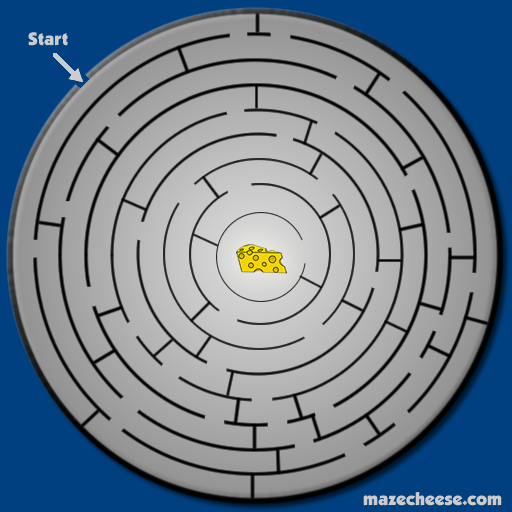 Another circular maze has been added to mazecheese.com. Maze 6 is a lot like maze 5 with a more jagged course. It has a few more bumps that send you closer and farther. 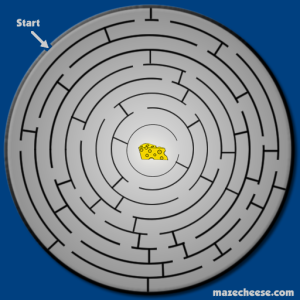 Like most of our mazes, it is quick and fun with a whiff of challenge.